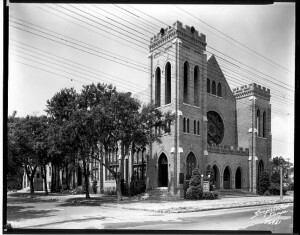 The Hyde Park United Methodist Church has maintained a significant presence in Hyde Park since 1899. The first 30 members met at the two-room Hyde Park Grammar School, which was then located at Platt Street and Magnolia Avenue. 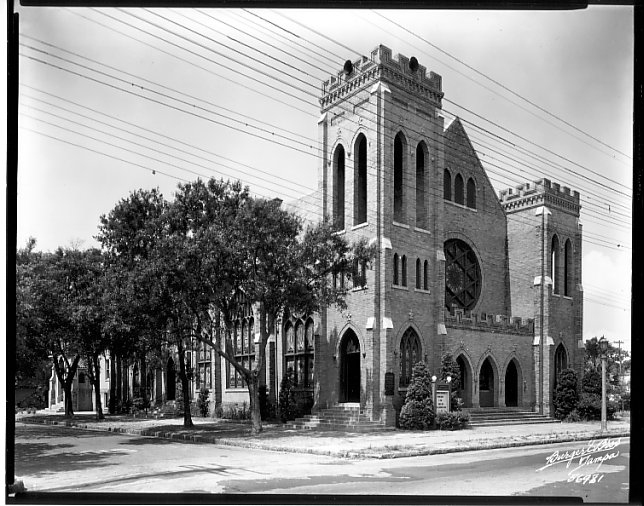 The church was officially organized in 1900 with 29 members. The main sanctuary of the current church, a simplified adaptation of the Richardson Romanesque style, was constructed in 1907; the first education building was completed in 1921. Hyde Park United Methodist Church has undertaken several expansions as the congregation has expanded.